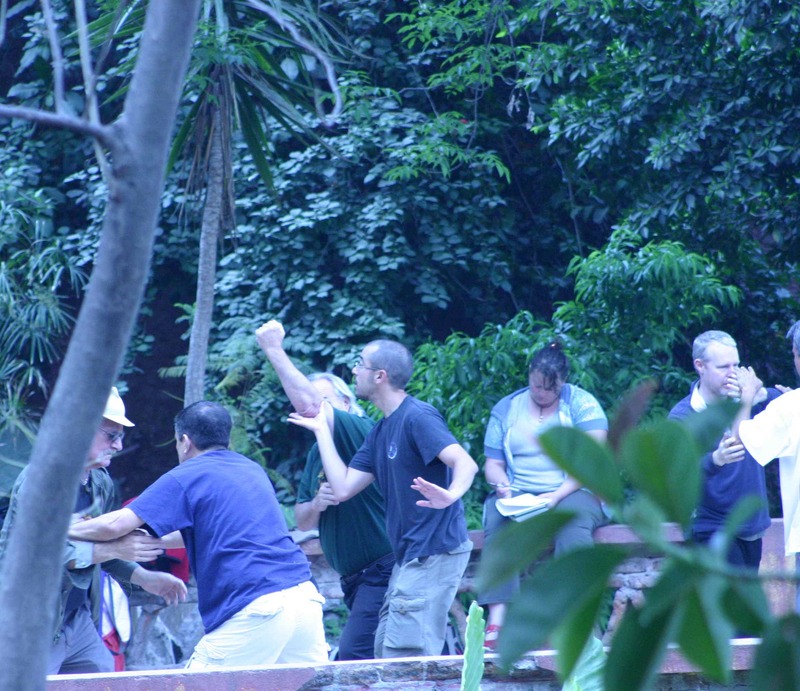 The 2009 Yang-style Taijiquan Full Curriculum Intensive in San Miguel de Allende, M�xico was a magically transformative event filled with hard work and pleasant surprises. On this page you can view Sam's updates for the ten weeks the intensive ran. The end run... dal�, five-phases partner spear and sword drills, plus a few odds and ends that remained of the curriculum. We're done! Everyone learned every form, every drill, every move. Eleven taiji players charging back into their worlds with a rare and precious treasure. I'm proud of all of them and feel that, through these wonderful students, I have grown as a teacher, as a taiji player and as a person. It seems we've all experienced this in some way or another: the bursting of tensions, the redoubling of resolve, the diminishment of lesser forces. We will settle back into our communities, our relationships and our responsibilities with this remarkable experience inside our skins�and we will change our worlds. The Yang-style Taijiquan 88 movement san-shou form is a true masterpiece of taiji choreography. Truly one of the most interesting components of the curriculum, this sparring form combines elements of virtually all taiji bare-hand work in a give-and-take extravaganza of epic proportions. We were joined by Betty Morosini and Yanira Rodriguez from Erik's group in M�xico City, Ken and Josh Basman from San Miguel and Christian and Jerri Auger from Corpus Christi, Texas. Seventeen more players out there to play the 88 with! Between training sessions I've been doing some translation and interpretation of various taiji writings. Here is the fourth point of Yang Chengfu's 10 Important Points (太極拳十要). It was something of a theme for the week as we worked on the 108. 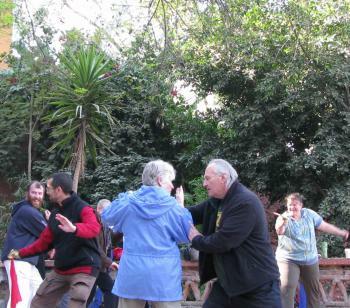 The art of taijiquan gives fen xu shi primary significance. If the body�s entire weight sits on the right leg, then the right leg is �full� and the left leg is �empty�.5 Whole body weight sitting on the left leg means, the left leg is �full� and the right leg is �empty�. If empty and full can be differentiated, turning can be light and quick and without wasted effort. Unable to differentiate, one�s footwork is heavy and stagnant, one�s stance is unstable and furthermore, one�s movement is easily influenced. 'I already know the bare-hand form, let's do push-hands...' Probably the solo form is the most cherished part of any taiji player's curriculum. It's where we start, it's what we usually first teach and it's what we first learned. Naturally we're a little anxious when someone (like me) starts messing with it. But mess we did. This week we delved into the 108 traditional bare-hand form focusing on sequencing, intention and energetics. Differentiating full and empty is a lifetime occupation. Enough to pull one away from other cares and worries. A form of meditation�nothing to be afraid of. Have fun changing. The straight-sword is a spiritual weapon. When one must walk as if alone, the sword is a companion, a protector, a mirror. The blade, when raised, lets the world of malevolent influences know: there is a fight to be fought with this one�perhaps look elsewhere for victims. But the double edge also cuts inward toward its bearer, cutting away at illusion, pretension and falsity. My blade makes me ask: 'Am I being true, and true to myself'. When my blade is my friend, it is the enemy of my enemy. But if I do not know my blade, it is the friend of my enemy. Thirteen powers, thirteen parts, fifty-four forms. 'Send the Bird to Roost'�'Immortal Points Out the Road. 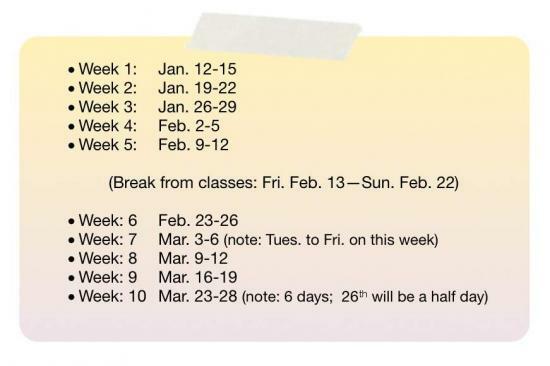 We've reached the half-way point in the this intensive�five of ten weeks. We've created a wonderful journey together thus far. Now the group will disband and go their separate roads, at least until the 23rd when we'll regroup refreshed and ready to go. Footwork variations are an almost forgotten practice in taiji push-hands. They take concentration, patience and coordination. We reached saturation with the ba pan jia zi and huobu sizheng tuishou (walking four-hands) variations on Wednesday and have taken a welcome detour into sword training. The double edged weapon uses most of the skills of the sabre but adds much more. 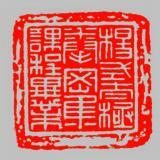 So far: Peng 崩; Pi 劈; Ci 刺; Dian 點. 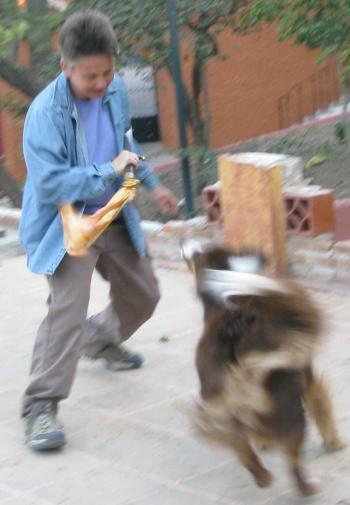 If Zhang Sanfeng did create taijiquan in solitude amongst the ranges of the Wudang Mountains, he probably had an experience like this in mind for his urban descendants. We are in the middle of a thickly populated neighborhood. People walk tentatively through our busy practice space from time to time�'civilians' we call them�but somehow we feel as if we are all alone together in our journey. In the mornings we've been digging-in with the sabre (sort of literally actually). In the afternoons we walk the shun bu and the tao bu steps: '1-2-3-and�1-2-3-and�1-2-and�1-2-3...' Bobby points out, "the old descriptions of taiji remark on the 'marvelous changes' of the masters," and it is with great pleasure I watch my group master the many permutations. Each skillful change evokes a different, often inevitable response from the 'changee'. It 'brings stuff up', especially when we spend ninety minutes in the morning articulating the waist twenty or so different ways. Change. Transformation. Digging. Alone together amongst the crowd. I have the best students. They work hard. They ask questions. They practice on the off days with not a hint of discord. This is a great class. Due to an amazing month long plant and garden festival that is connected with the Mexican Candelaria we've moved from the lower part of Juarez Park up onto the terraces where we are surrounded by beauty. Its like being in a taiji tree-house. Erik Baez, one of my students for many years from M�xico City has gradually become a part of the class. Mornings have been devoted to the taijidao. Both solo and partner sabre work are yielding positive results, especially with regard to the intent of the form and its place in the curriculum. This is a facet of taiji training that is often overlooked. Afternoons we've been focused on moving step four-hands�huo bu sizheng tuishou, with special attention given to influencing the partner's intention in stepping. I love this town. 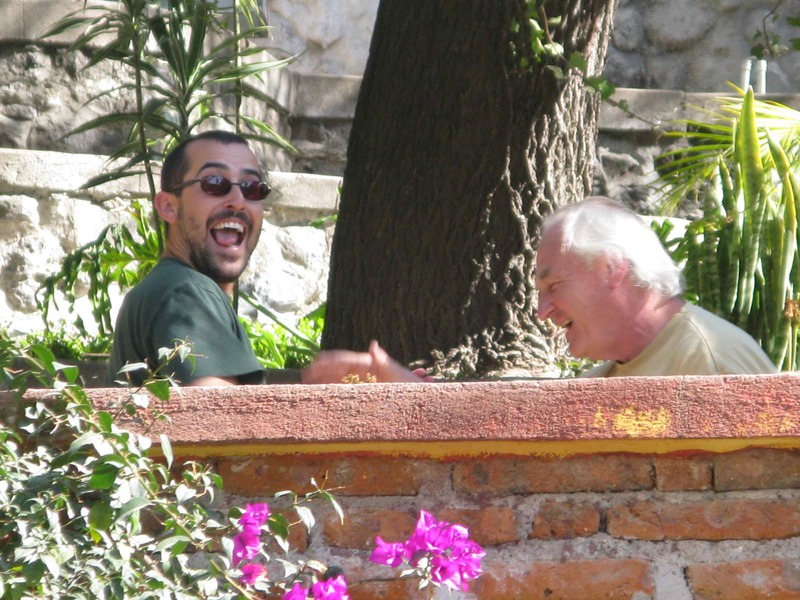 San Miguel is a perfect place to train; warm, friendly�an easy living kind of place. We have, in the space of a week, seen parades, fireworks, air balloons and an airplane bellowing out circus advertisements. Our training has included the sizheng tuishou eight changes, a continuation of the ba pan jia zi and, the most exhilaratingly, the taijiqiang. We've been working with the spear each morning for three hours and the results are showing. 'Why spear so early on in the training?' you might wonder. 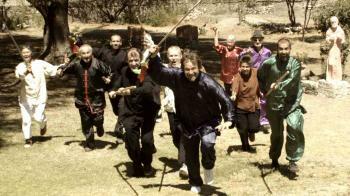 While study of the qiang typically comes at the end of the curriculum, it was actually the first weapon to belong to the Yang-style. In our work we re-trace the evolution of the style. Everyone is working hard, laughing lots and growing in their taiji. These 11 participants from 5 countries are studying the full curriculum of Yang-style Taijiquan over a period of three months.